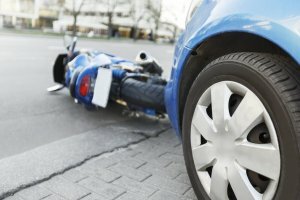 Two Dead, Three Others Injured In Motorcycle Crash | Schuler, Halvorson, Weisser, Zoeller & Overbeck P.A. Two people are dead and at least three others were injured after a motorcycle collided with a FHP Emergency Services Unit truck, police and fire department officials said. Cops and paramedics responded to the wreck at Fort Pierce and East 96th Street on St. Lucie County’s Upper East Side where a Triumph Sport bike, going southbound on Fort Pierce, collided with a heavy-duty FHP tactical rig from the ESU Truck 2 unit traveling eastbound on 96th Street. “I was inside with my coworker and I heard a noise. Everybody came running out,” said a doorman in a building adjacent to the wreck. It was a long sound, I’m thinking it was the bike being dragged thirty feet. The unidentified 32-year-old male motorcyclist died and an unidentified adult passenger was also declared dead in a hospital, according to cops. Three other people were also being treated at Fort Pierce Hospital, but police could not say how they were injured. The cause of the crash is still under investigation by the FHP Collision Investigation Squad.